How do you study Chinese? My name is Luciano, I come from Italy. I have been studying Chinese for 3 years. I am HSK 6 now and I have learn Chinese in a variety of ways, including following online websites, going through books, downloading various apps. And then I studied 1 year in Shanghai. I talked to many other students, and realise that there are so many ways out there that you can learn Chinese now. I have become very interested in the answes. It would be great if you could answer the below questions and share your experiences! Thank you! How many hours do you spend studying Chinese per week? What apps/websites do you use for studying Chinese? What do you use them for? Apart from textbooks do you use any other learning materials (eg. worksheets) to study? What do you use and why? How do you keep studying interesting? Have you tried to learn Chinese by using Chinese songs/books/articles/movies? How did it go? If not, why not? I think that's a good idea; however, you can already find many answers to your questions by reading posts on the forums. Should be between levels 5 and 6, though I don't like to study for HSK or take the HSK test (I just did some mock tests), simply because it's designed to test for speed, not for a more profound feeling for the language. I prefer to study on my own, don't really need a school, similar to you. Used to be about 15-20 hours, now it's much less, since my curiosity about the Chinese language has been satisfied. Now it's less about that. Since I don't need the language much currently, I'm just keeping it alive until there's a real, practical need for me to study it more. Only Pleco and Wenlin. Don't really like the Podcast sites, I find them mostly too superficial, and they're impossible to concentrate on properly if listened to in the gym, etc. Well, the New Practical Chinese Reader had exercise books, they were repetitive but useful, so I did them. By doing things you're interested in. Like reading interesting, well-written Chinese texts. For example, I like the author 阎连科, I think I'm going to learn a lot from reading some of his books. I have; some song lyrics, say from Faye Wong or 王菲, I sometimes found a little hard to make sense of. I think the reason is that these song lyrics are a bit like poems, and poems just are information-dense, they skip the context, which you have to fill in with your own (cultural) knowledge, which is of course limited at first. So it's better to watch movies, TV series or read books in prose form because there, you usually do have context that you can use to get a feeling for how words are used. Now, I suggest you answer some of your questions yourself. Pleco for learning new characters. Local church as a child, USC and Fudan. Pleco and Wenlin. mdbg.net on rare occasions. By carrying on conversations with native Chinese speakers. Have you tried to learn Chinese by using Chinese songs/books/articles/movies? Mainly Chinese dramas (China and Taiwan). Great way to keep up with modern slang and colloqialisms (depending on the drama). 5 at least, but defo not 6. "Me, myself and I" school with some help from native teachers via iTalki. See http://www.surrendercontrol.com/2017/11/a-nerds-progress-on-learning-chinese.html if you care. This year - predominantly Pleco for looking up words. ChinesePod for background listening ("Upper intermediate"/"Advanced"). At this stage - by selecting reading texts that are interesting for me, same goes for textbooks. I read textbooks' grammar explanations (in Chinese) mostly because I think they are interesting as well, both the rather 书语 language and the usage examples they come with. Again, my current way of learning is just reading as much in Chinese as I can read without completely losing interest. Somewhere between 2 and 4 reading/writing and about 1-3 listening. 香港中文大学 for the start. Self study now using the Chinese Made Easy 2nd edition textbooks. Pleco. I don't really use any other websites. Various readers of varying difficulties - from 300 words to 1200 words. I'm trying to get a better feel for reading the language by reading actual text. Sinolingua has a lot of great resources for Simplified Chinese learning. Sheer dogged determination and the thrill of being able to understand something that was completely gibberish and impossible to understand before. Books, so I can take my time to go through the text. I'm still not good enough at listening to catch the meanings. Stopping and playing back slowly is just annoying. That's my fault for not putting more effort into speaking/listening. Studied at 青岛大学 for a year, now self study. Probably about 10 hours reading novels and about 15 hours watch TV programs. Actual textbook time maybe a couple of hours. Pleco , Chairman's Bao, You Tube. Used to use flashcards but not really much anymore. I'm very stubborn and don't give up easily. You kind of need that to get over the mountain climb of learning vocab. But it does get easier and now I can read novels and understand TV programs it's pretty interesting. Not really from songs but definitely from books and movies. With books I started off with the Chinese Reader series which helped immensely. It gives you the stepping stones to get to a decent level. I watch the news every day which was initially extremely difficult but now my brain has got used to it and my listening comprehension has gone up enormously. wow, thank you, this is very candid and motivating! I think one important lesson from this is that studying for long stretches which lie close together is so much better than studying irregularly; it creates an additive effect of being able to remember and combine words one had just recently seen into an ever-larger whole, words which would otherwise have been forgotten again before being remembered/put to use. In my case, it's certainly true that 3-5 hours per week of studying/reading for five yearswould not allow me to reach the same skill level as 15-20 hours per week for one year. I am currently not studying that much, but would like to pick it up again once. Another example: Some years ago, there was also a young Frenchman called Julien Gaudfroy a.k.a. 朱力安, who said he studied 10 hours a day for 5 years, speaks extremely well, and was in Chinese TV shows all over. This is what concentrated studying, where little is forgotten in the process, can do. Though I have had Pleco for a long time I only recently started using it and understanding its strengths. I have been using the TrainChinese app for many years. I now use Du Chinese to read and for listening. I listen to the programs by Slow Chinese on YouTube, for listening comprehension improvement. 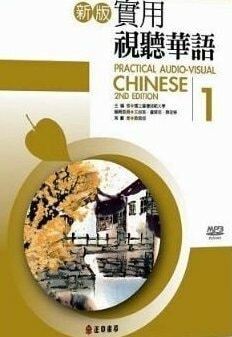 I have used numerous programs like Chinese Class 101 but I don't really like them all that much though they are useful. Just a lot of writing paper to learn to write the characters. I find writing characters has given me a much better understanding of characters and how they are put together. That is a good question. Just the motivation to learn. It seems the more I learn the more interesting it becomes. Like learning to write the characters, It has really improved my motivation because of the improved understanding but mostly because I always thought that learning the characters would be impossible for me. As it turns out the more you learn the easier it becomes. Listening has always been a problem. I know the common advice has been to listen to Chinese as much as possible but it was always a waster to sit and listen to something I could not understand. I think you have to reach a certain tipping point in vocabulary before there is benefit. I have just started to watch Chinese films and I am hoping that I will get something out of them now.